Ocean and coastal acidification can affect marine life in myriad ways, mostly negative but some positive. 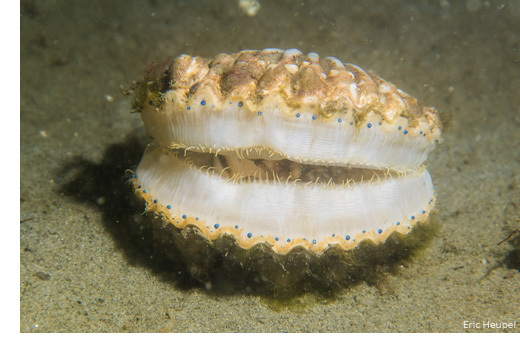 Mollusks, crustaceans, corals, and some algae have difficulty forming hard parts such as shells and skeletons when seawater pH declines, and the hard structures may even dissolve. Metabolic rates, immune response, organ development, acid-base regulation, and sense of smell may also be harmed. At the same time, however, increased levels of CO2 in seawater can benefit seaweeds and other algae by enabling them to photosynthesize and grow more quickly. In most areas of the ocean that host abundant sea life, the seawater contains an abundance of dissolved calcium carbonate. Calcium carbonate is a chemical compound with the formula CaCO3. It is a common substance and is the main building block of shells of mollusks, sea urchins, and calcifying plankton. 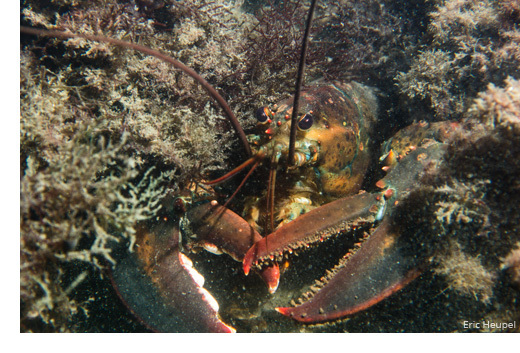 It is a minor albeit critical component of the carapaces of lobsters, crabs, and shrimp. The two most abundant forms of calcium carbonate in the ocean are aragonite and calcite. Ocean and coastal acidification directly or indirectly affects many aspects of biology and ecology in the ocean through the changes that it causes in calcium carbonate availability. Under normal conditions, calcium carbonate is abundant, or supersaturated, in seawater, and calcifying species can readily build their body structures and maintain them as needed. The chemical reactions in seawater associated with ocean and coastal acidification, however, make the water less saturated with calcium carbonate. As a result, calcifying animals must devote more of their energy to building shells and skeletons, which leaves them with less energy for feeding, reproduction, and other essential activities. If the level of calcium carbonate drops even further, the conditions may become corrosive, so that shells, skeletons, and other calcareous body parts begin to dissolve, especially those of young (larval) individuals. Scientists measure the availability of this important mineral in a given location in the ocean by calculating the calcium carbonate saturation state of seawater. Calcium carbonate saturation state is a measure of the thermodynamic tendency for the mineral to form or to dissolve. Calcium carbonate saturation state is often represented with the symbol Ω (omega), and Ω is usually expressed with respect to aragonite. An aragonite saturation state (Ωar) above 1.0 indicates supersaturation, while Ωar values less than 1.0 signal undersaturation. Recent research shows that calcifying organisms may require Ωar to be higher than 1.6 to optimally produce shells or skeletons. Levels below 1.0 are corrosive, and skeletons and shells may be subject to dissolution. In coastal waters, carbonate chemistry is always changing on short timeframes for reasons not associated with climate change. It can change hourly with the tides; from day to night with photosynthesis/respiration cycles of phytoplankton, seaweeds, and seagrasses; and seasonally with changes in microbial respiration. Variability on different time scales can affect different biological functions. For example, hourly or daily variability could affect respiration or net calcification, while seasonal variability may impair reproduction, development of the young, and settlement of young into adult habitats. Calcifiers that live in these conditions have a natural capacity to adapt or acclimate to short-term, relatively small fluctuations in pH and Ω. The changes in carbonate chemistry associated with ocean and coastal acidification, however, are different because of their greater magnitude and because the trend is consistently downward over multiple years, rather than fluctuating around a long-term average. The eventual ability of marine species to cope with ocean and coastal acidification may depend in part on the conditions in which they have lived in the past. Species or populations from places with highly variable carbonate conditions might have more capacity to adapt than those from places with stable carbonate conditions. Laboratory studies have observed this difference in adaptability among individuals of the same species collected from different places. 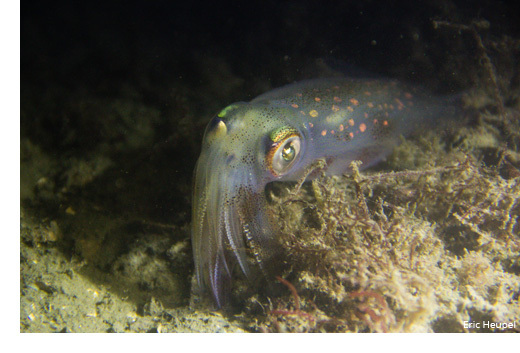 How Are Different Types of Marine Life Affected? The following are highlights of findings from studies of the effects of acidification on commercially important species in New England and Nova Scotia. Click the icons below for summaries of scientific findings for different species groups.